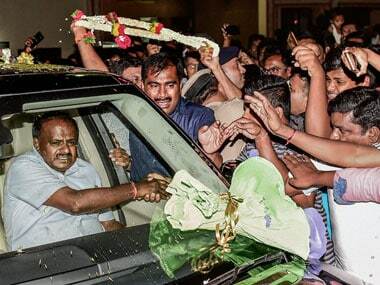 Bengaluru: As Karnataka prepares to witness a second chief minister swear in within a week on Wednesday, the fact that HD Kumaraswamy and his party (37 seats) fought the election opposing the present coalition partner, Congress (78 seats), is posing challenges that the leadership of two parties can’t ignore. 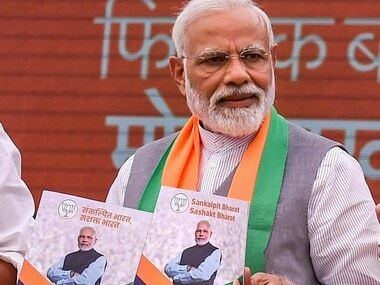 The post-poll alliance may have succeeded in halting BJP’s victory march in state polls, but to be able to continue this opposition to the saffron party in the state will not be an easy task for the coalition partners as their workers on the ground were at loggerheads throughout the election. 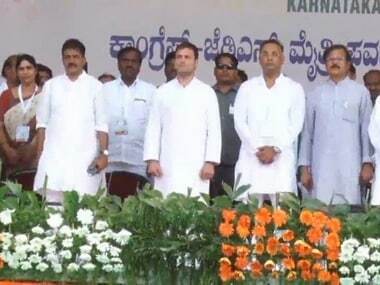 On 26 April, a pre-poll clash between Congress and JD(S) workers in Chikballapur district allegedly led to the death of JD(S) worker Ram Reddy and left three others injured. Chikballapur police inspector Shivakumar said a case has been registered against six people for Reddy’s murder. While leaders of both parties resolved their differences after the election results were declared on 15 May to stake claim to form the government, the message did not reach the party cadre in time. Clashes broke out between the two camps during a victory procession for Congress legislator NH Shivashankar Reddy, who defeated CR Narasimhamurthy of JD(S), at Gowribidanur Assembly segment in Chikballapur district. Cadres from both sides ended up filing police complaints against each other. "There may be petty quarrels between JD(S) and Congress workers but there is no misunderstanding between the top leaders in the district," Chikballapur district Mahila Congress president Geetha Jayandhar assured. CG Murali, a staunch supporter of JD(S) legislator K Srinivas Gowda from Kolar, believes the alliance may deprive his leader of a berth in the Kumaraswamy-led cabinet as Congress might insist for the same position for its candidate KR Ramesh Kumar who won from Srinivaspur constituency in Kolar district and was the health minister in Siddaramaiah-led cabinet. "The alliance may not help JD(S) cadre in the district. It will be difficult for the growth of JD(S) in Kolar if Congress candidate succeeds in getting a berth in the cabinet," Murali said. Kolar is not the only district to throw up this dilemma. Despite being the party with more number of seats, the alliance is unlikely to help Congress in Hassan district, a stronghold of JD(S). Congress candidate BP Manje Gowda, who lost against JD(S) leader HD Revanna from Holenarasipura in Hassan district, said he was apprehensive on the chances of Congress growth in the district, adding that the leadership might have taken this decision due to other factors in the state. "I am not happy with the decision of the Congress having an alliance with the JD(S). It is like the murder of Congress workers in Hassan district. The JD(S) leaders and workers have already started intimidating Congress cadre in the district," he alleged. The pre-poll defections from one party to another also shift the story a little in some constituencies. Ayub Khan—a JD(S) supporter from Tipu Nagar in Chamarajpet—said the post-poll alliance would not affect JD(S) cadre in his constituency. Congress candidate BZ Zameer Ahmed Khan, a rebel JD(S) legislator, won from Chamarajpet on Congress ticket in this election. Khan polled 65,339 votes while JD(S) candidate BK Altaf Khan came third by polling 19,393 votes. "I don’t think Zameer Ahmed Khan will indulge in intimidating JD(S) cadre. 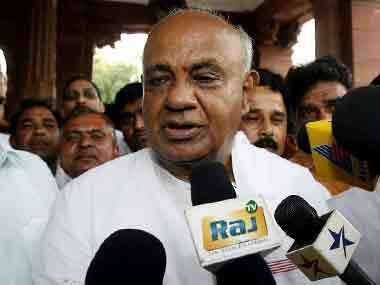 He hugged Kumaraswamy at a resort recently," Khan pointed out. In Rajarajeswari Nagar constituency, which goes to polls later on 28 May due to earlier electoral malpractices, the alliance has put the cadre in a spot. HG Ramachandra from JD(S), the father-in-law of Sandalwood actress Amulya, is pitted against Congress candidate Munirathna in this constituency. "We are happy with the alliance but our fight will be against Munirathna due to various reasons such as corruption, electoral malpractices like offering free gifts to the voters and intimidating women BBMP corporators. We are not against Congress but we will not work for Munirathna," JD(S) worker Narayanaswamy from Laggere in Rajarajeswari Nagar constituency said. Political analyst Sandeep Shastri suggested that Congress-JD(S) alliance is likely to create confusion among the party cadre in 80 to 90 assembly constituencies where the two were the main rivals. "Take the example of the Chamundeswari constituency. Both Congress and JD(S) workers worked hard for their candidates in that constituency. But a JD(S) candidate defeated Siddaramaiah there. So it will take some time for the JD(S) MLA to adapt himself to the alliance," Shastri said, adding that the alliance is also likely to impact the 2019 Lok Sabha elections. Expressing a similar opinion, Harish Ramaswamy, a professor at the department of Political Science, Karnataka University, Dharwad, said the need of the hour is that leaders of both parties should remove the confusion among their cadre, stressing upon the need for a coalition government in the state. "It is the cadre at the grassroots level that plays a key role in ensuring the success of the candidates in the elections. It will be difficult for the cadre to bury the hatchet in rural areas," Ramaswamy said. "The problem with Congress and JD(S) is lack of committed and disciplined cadre, unlike BJP where the cadre base works as per the directions of the party leaders. The BJP leadership also has the habit of addressing the party cadre as soon as the elections are held or results are announced unlike Congress and JD(S)," Ramaswamy pointed out. 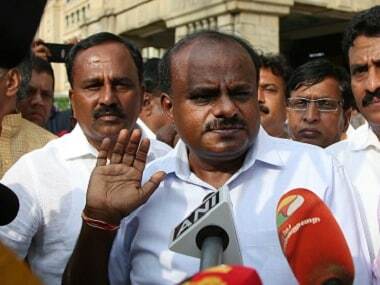 "If HD Kumaraswamy fails to address the JD(S) workers after his swearing-in, the confusion will continue to haunt the workers," he said. Ther authoor is a Bengaluru-based freelance writer and a member of 101reporters.com, a pan-India network of grassroots reporters.